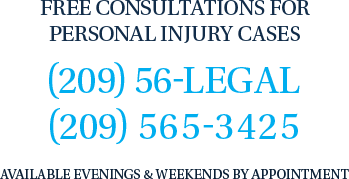 Modesto Drug Defense Lawyers with The Bogan Law Firm, A Professional Corporation have experience with all types of drug cases including possession of prescription drugs, cocaine, methamphetamine, heroin, marijuana and many other drugs. The Stanislaus County District Attorney Office vigorously prosecutes drug cases. They prosecute single prescription pill cases even for first time offenders. Additionally, the police in Modesto scrape bags and pipes for residue trying to collect enough drugs to test. The point is that when arrested for drug possession it is in your best interest to have an attorney fighting for you. If you are charged in Stanislaus County with drug possession then you will eventually have court in the Stanislaus County Superior Court Criminal Division Courthouse located at 800 11th Street, Modesto, CA 95353. You will go to Department 12 for your arraignment, which is located in the basement. The Department 12 Judge will assign the case to another court either on the 1st or 2nd floor for all purposes. That means that the judge to whom you are assigned will remain the judge all the way through trial. In the Modesto area several teams of law enforcement personal make up the Stanislaus Drug Enforcement Agency (SDEA). The SDEA is a multi-jurisdictional task force whose emphases on the drugs and the illegal distribution of them. The SDEA is operated by a Governing Committee comprised of all law enforcement heads in Stanislaus County. The SDEA also provides a base for operations for local and federal drug enforcement officers. This includes prosecutors from the Stanislaus County DA’s office, plus support personal, a manager and field officers, supervisors form various police departments. Also, there are agents from the U.S. Drug Enforcement Administration (DEA), the Federal Bureau of Investigation (FBI) and Internal Revenue Service’s Criminal Investigation Division . In addition to participation in the SDEA local law enforcement also participates in the Central Valley High Intensity Drug Traffic Area. (HIDTA) That unit is also comprised of local, state and federal agents. Both SDEA and HIDTA arrests alleged drug dealers and manufacturers. Drug offenses can be minor such as simple possession to more complex ones, such as possession for sale of drugs. There can also be several enhancements which increased the punishment for the drug possession such as: drugs near a school, weapons enhancements, weight of drug enhancements gang enhancements, prior drug conviction enhancements. California drug laws are extremely complex because the legislation lists hundreds of different drugs in different categories and depending on where the drug falls it can be punishable as a felony, a misdemeanor or either. We have seen an informant’s description totally different from our client. We have seen police lie in court and get caught. We have had evidence dismissed because of police misconduct. The list goes on and on. It is important to explore all options before pleading guilty or going to trial in a drug case. The point here is that someone accused of a drug offense should not give up hope. Your freedom is very important. Call a Modesto Drug Defense Lawyer with the Bogan Law Firm for an immediate confidential consultation.